Inside: You know you need to discipline your kids. But does it seriously have to be so frustrating? 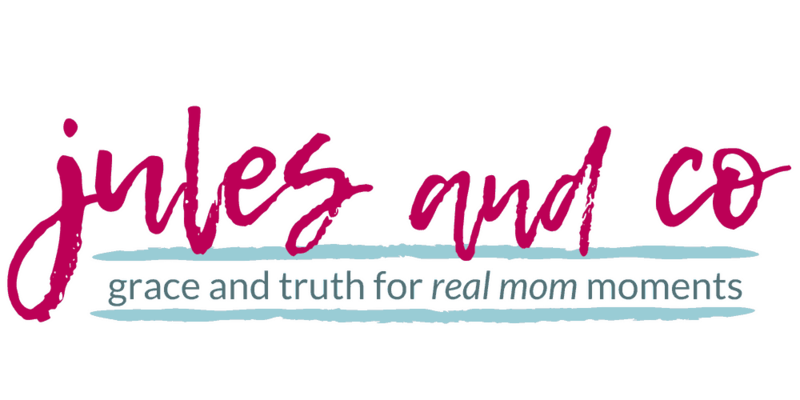 Let me show you ten tips to help you be a patient mom even in the toughest parenting discipline situations. Have you ever met a perfect mom? All moms get frustrated. It’s part of the bargain. You see, we’re raising up these little seeds. We water, prune, and tend, but they’ve got a long, long way to go before we see the fruit. Woo boy, a long way. In fact, sometimes, we are a bit fruitless ourselves, right? If you’re like me you might find your self in a hamster wheel cycle of impatience with your children. You can feel it as soon as you wake up in the morning. One spilled drink sets you off. One squeal from the playroom puts you on edge. You’re about to lose it, mama. Here’s one thing to remember… This is not just about you, and it’s not just about disciplining your child. It’s about changing your heart to reflect God’s, and it’s about being a good steward of your children. Does being a patient mom mean that you let your child get away with wrong behavior? Of course not! It does, however, mean letting the Holy Spirit do the leading instead of being led by those hot-tempered emotions bubbling up beneath the surface. You can discipline your child with patience! So, before you lose it, (Or even if your patience has long since flown the coop!) I dare you to try this tried-and-true mom advice. Use these ten simple steps to regain your self-control, and discipline with grace, patience, and wisdom. Be sure to get these printable cards to place on your fridge or mirror! As you discipline your child, you’ll be ready the next time your patience wears thin. Disclaimer: This post contains affiliate links, which means I’ll earn a small commission at no extra cost to you. Of course, I only recommend products and services I know and love myself! About to lose your cool? Take a deep breath. Hold it for a few seconds. Now let it go. Try looking out the window for even a few seconds as you breathe and adjust your mindset before you decide how to discipline your child. Want more ways to reset in just a few seconds? Try these simple fixes to reconnect with your kids in the small moments. If you’re about to lose your patience, it’s time to reset your focus! 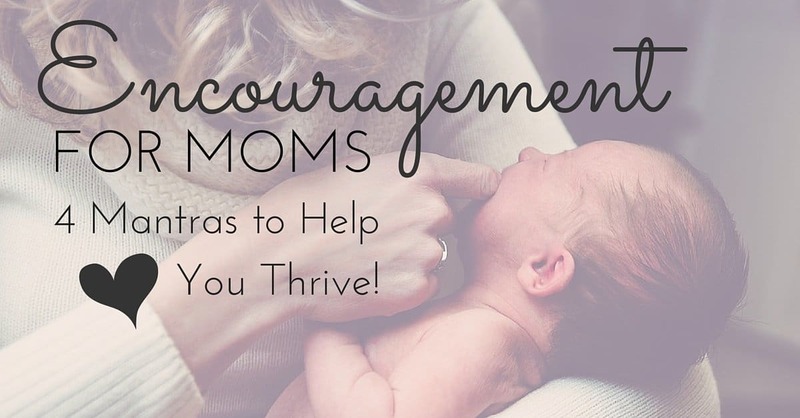 Take 30 seconds to pray for wisdom and courage to be the mom God knows you can be. Try praying this Scripture! Pray it out loud if you dare, it might even catch your child’s attention enough to settle him down as well. Good bosses don’t yell. They instruct. Good bosses don’t berate. They encourage. Good bosses don’t give up. They recognize their own authority. Good bosses don’t overreact. They use restraint. RELATED: Click here to enroll in a FREE webinar: How to get kids to listen without nagging, reminding, or yelling. 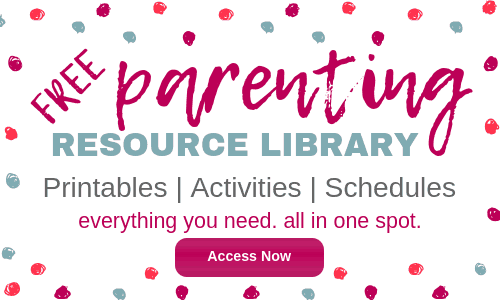 Don’t miss a chance to join parenting expert Amy McCready of Positive Parenting Solutions for a powerful, FUN, interactive, answer-filled hour of tools you can start using IMMEDIATELY in your home. Let’s be honest. Sometimes we lose our patience because of something that’s going on inside of us. Sometimes it really has nothing to do with how the kids are behaving today. Do a quick checkup. Are your expectations out of line? Or is this a real issue of respect and obedience? Is what I’m asking age-appropriate? Are there legitimate obstacles preventing my child from obeying, or is it a matter of the will? Is this a one-time misbehavior, or a pattern? One-time? Choose faithful instruction and grace. Pattern? Choose faithful instruction and discipline. Thinking about giving in and letting it slide today? When your patience wears thin it’s often easier to pretend you don’t notice misbehavior or disrespectful attitudes from your children. But discipline for children is all about consistency! Stay strong and restate your boundaries! You’ll have to work twice as hard to break bad habits later if you don’t address them now. Learn how I finally taught my toddler to sit still! Psst… no phones or tablets necessary! Consistent consequences are the remedy to impatience! Be firm. Be fair. Be consistent. Take out the emotion and the stress of worrying about what your child will choose to do. 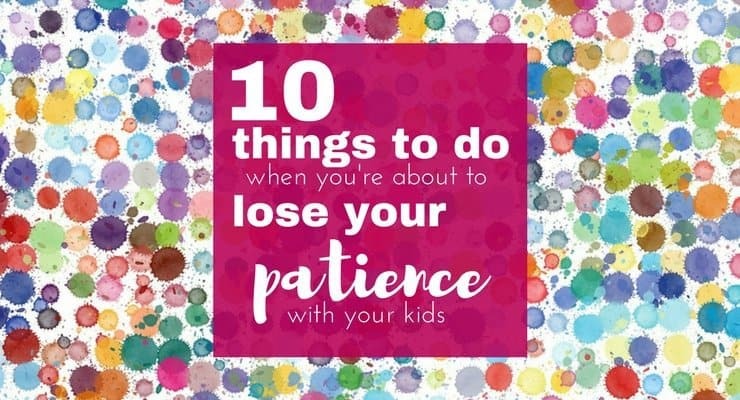 As moms, we wear out our patience when we try to control our children’s choices. That’s not our job! As you discipline your child, it’s simply up to you to give appropriate consequences (both good and bad!) for the choices your kids make. Consider a natural consequence. Didn’t pick up the toys after being asked three times? Mom keeps them the rest of the day. Use a low, slow voice. Use fewer words and resist the urge to ramble and nag. Nagging will only wear down your patience even more! Mean what you say the first time and let the consequences do the rest of the talking. I expect to hear respectful words in this house. I feel disappointed when you choose to make a mess after I asked you to clean up. I can’t say yes when you whine. I get frustrated when I see you’re not listening. I understand… but remember what our rule is. When you’re in the middle of a tough discipline situation, hanging on to that last thread of patience, sometimes the best thing to do is to take a break. Will this matter in a week? A month? A year? Think about the long-term truths you want yourself and your child to learn from this situation. How do you want your child to react when his patience wears thin in years to come? Proverbs 16: 32 says, “Better a patient person than a warrior, one with self-control than one who takes a city.” It takes incredible strength of character to show patience when all you want to do is vent and yell. Think long-term and be an example for your child of what patience really looks like in everyday life. 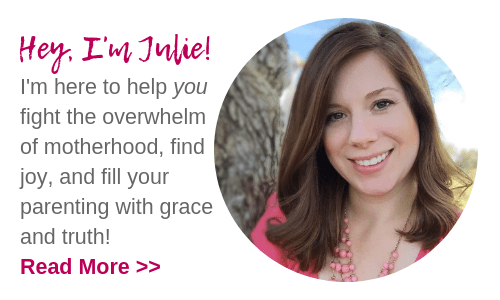 Want to teach your toddler or preschool at home with a long-term mindset? You’ll love my Early Learning Bible curriculum packs! I’ll give you ready-to-go lessons to teach 123s, ABCs, and more. Plus each curriculum focuses on a truth straight from God’s Word! Do I need to ask forgiveness from the Lord? If so, he’s ready and willing to pick you back up again! Remember, whether you’re about to lose your patience, or whether you’ve already lost it…Keep your big picture in mind. Remember that loving, consistent discipline is life-giving for your children. Remember, you love your kids. Remember, you’ve got big dreams for them. Remember, you’re in it together for the long haul. Remember those seeds we talked about earlier? It takes patience to wait and watch them grow. Some days more patience than we think we have inside us! But God promises a righteous and peaceful harvest as we discipline children with grace and truth! Next, don’t keep this mom advice to yourself! 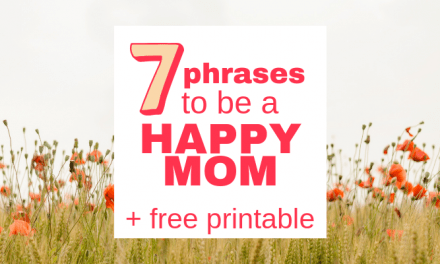 Would you share this with a mama friend who needs it? 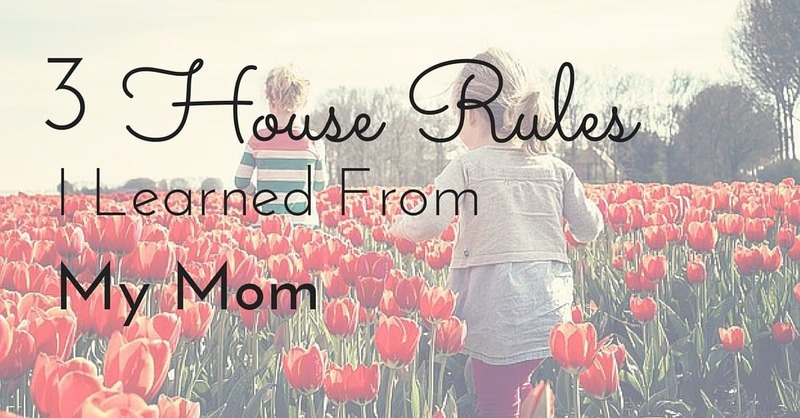 (And, ahem… Is there any mom who doesn’t struggle with discipline for kids from time to time??) Share on Pinterest, Facebook, or Twitter! Let’s do it together, mama! Wow! You give some really great tips here. I wish I had read this when my kids were still little. They are not big now, they are school age. I still struggle some to keep my temper, but not nearly as much as I did during the toddler and pre-k years. I love all of your tips on keeping your patience, and I think any one of them would work, but combined together… wow! Thanks so much for a post with such great advice.